Details about Like N E W Sennheiser e609 Silver Guitar Amp Microphone Open Box Never Used! Like N E W Sennheiser e609 Silver Guitar Amp Microphone Open Box Never Used! 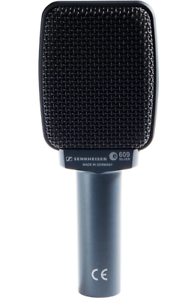 The Sennheiser e609 is like a refined version of the the very famous Sennheiser MD 409 microphone. 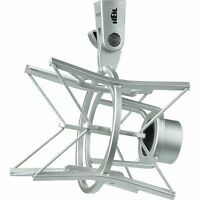 This mic is able to withstand high SPLs without being affected by distortion. With a very flat profile capsule, this Sennheiser microphone permits very close miking of guitar cabinets and drums. The super-cardiod design pattern enhances isolation for greater performance. I was deciding between this or an SM57. I got this for the main reason that I could simple hang it over the amp while it was reclined on its stand. The idea worked out perfectly. I simply loop it over the handle and down to the grill. Very easy to get great sounds out of this. I use it at church with a hot rod deluxe. I turn up the volume just enough to hear myself, pointed at me, but then I adjust the volume on the mixer to fill up the room using the PA speakers. This is a great way to have a fuller sound because I'm the only guitarist and we are only 3 members, drums, guitar and bass. Got it to use in a studio where ele. guitars are played live to the playback monitors, the mic rejects the monitor sound to such an extent that the soloed ele. guitar track has almost no leakage at all. Just what I wanted it for. Get one for yourself. It is also nice that you don't need a mic stand. 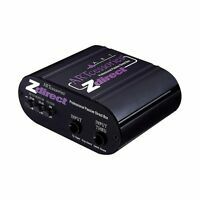 This is THE essential dynamic microphone for close mic'ing guitar amplifier cabinets in a live or studio situation. The frequency response is perfect for guitar - much better than an SM57. These mikes easily handle the sound pressure level of a moderately cranked amp without overload. You can loop a cable once around the handle on a combo amp and hang the microphone right in front of the speaker. No stand needed. They are a little midrange heavy for vocals but can be used in a pinch. These also make a decent tom mike. Great off axis rejection. Some of the best guitar cabnet mic's ever. compared to 57's these are completely in a higher class, for close mic'ing cabinets you would have to spend 1000's to see any improvment. I really like the live separation that these get because there is ALWAYS a sweet spot close enough to the speaker to track live recordings with very little bleed in the other cabinet mic's, even though they are right beside each other on tight stages. The minutes that add up to hours that add up to days that add up to years of time that I have spent trying to find a decent sound on some players rigs with other mic's could have been cut by 90% If these had been around 20 years ago. That ability alone make these exellent microphones to me. 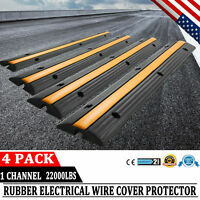 I like them so much that I have tried them for several other things where I used to use 57's with good results over all. But I would highly recomend these to anyone trying to mic loud cabinets for live mixes or recording.